We love building products and services that help recruiters like you easily find, engage and hire the best and brightest. But the value you get from our recruiting solutions depends heavily on how well you know them. 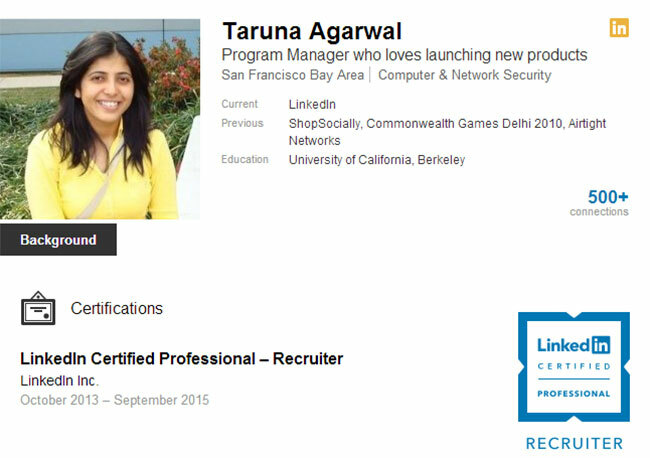 That’s why I’m excited to announce the launch of our first certification program: LinkedIn Certified Professional—Recruiter. It’s designed to help you showcase your LinkedIn Recruiter skills – like identifying and engaging passive and active candidates, strengthening your talent brand, building a pipeline of talent and posting jobs. There’s more good news: between now and December 31, 2013, LinkedIn will waive the exam fee for the first 500 customers that register for the LinkedIn Certified Professional—Recruiter certification exam. To learn more about the certification program, please visit the LinkedIn certification website. And while you're at it, check out our updated Learning Center which has a variety of learning offerings that help you prepare for and ace the certification exam.